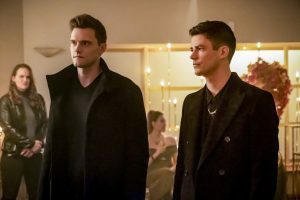 WARNING: The following article contains spoilers from The Flash Season 5 episode 13 titled “Goldfaced”. Do not read if you have not seen the episode or read ahead at your own risk. This week’s episode of The Flash saw the show get stripped back and two big characters faceoff face to face. 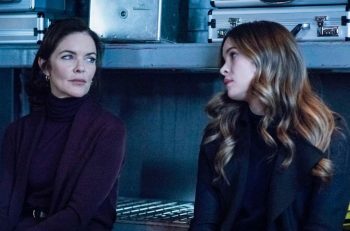 Tuesday’s episode kicks off with Cisco’s (Carlos Valdes) meta cure near completion, but Caitlin (Danielle Panabaker) informs him in order for it to work on Cicada (Chris Klein), he would need to be contained for a full minute. The solution to this is a piece of tech that Ralph’s (Hartley Sawyer) buddy has available on the black market. So it looks like Team Flash is going undercover. Nothing could go wrong here, right? Barry (Grant Gustin) had issues with robbing the hospital of a device that could save lives and Ralph knew it. So he locked Barry in the van and joined the others in the group for the theft. My question is: could Barry have just phased through the van? As he went in to steal the device, Ralph got a read of the papers. He realized the device would save so many kids and he tried to stop the robbery that he himself thought of in the first place. Barry escapes from the van, but not before he and Ralph go up against Goldface, who is literally made of gold. Barry used his wits to get the thief to tie a gold chain around a circuit box and electrify him. 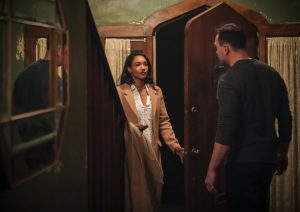 Meanwhile, Iris (Candice Patton) decides to do some digging and gets Orlin’s, aka Cicada’s, home address from a co-worker. She goes there, but of course he returned home right as she breaks in. She successfully dodges him at first, saying that she is there to interview him about some water contamination thing. Iris’ whole entire scheme would have been successful if Orlin didn’t notice Iris grab her purse that she didn’t have at the start of their conversation. The other plot of the episode involved Nora (Jessica Parker Kennedy) getting help from Eobard Thawne (Tom Cavanagh) to help throw Sherloque (also played by Cavanagh) off her trail and stop investigating her. He instructed her to make small changes to the timeline. It resulted in Sherloque going on a path towards Renee Adler, who is a doppelgänger of his ex-wives. Hilarious! What did you make of the episode? Tell me in the comments below!